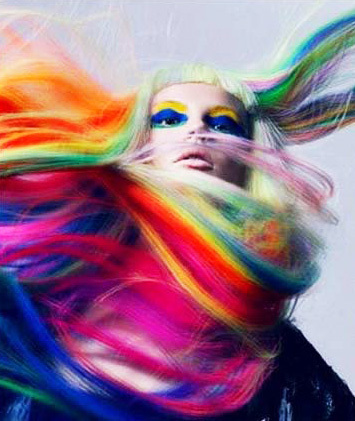 Hair Advice (+ all things nice) | UK Hair Blog: Bleachy Keen? A lot of us have experimented with bleach at some point, whether it's been some highlights, maybe a full head, or in preparation for some wild colour - or of course DIY ombre! 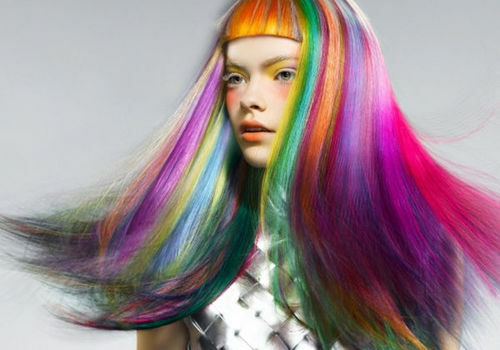 Of course bleach is great if you are going for a brightly bright shade, or wanting a pretty pastel rinse. Used correctly bleach can help you create the hair of your dreams, incorrectly you are looking at a hair nightmare, I don't want to scare anyone, but I think it's really important to remember that you are using a chemical mixture on your hair. There are three more commonly used levels of volume developer used when bleaching hair, these are 20 (6%) 30 (9%) and 40 (12%) The higher the number, the stronger the developer. 40 (12%) is generally used for hair that resists 'lift' which is usually very dark hair. The developer is mixed with a bleaching agent such as a powder or a cream, then the mixture is applied to the hair. Generally the powder bleach is used to get a stronger, faster result, whereas cream bleach is used to maintain an all over 'colour' and is kinder to the scalp when applied directly to it. It's so important to make sure once you've processed the hair to the level you are happy with (or have had the mixture on for the time given) you make sure it is completely rinsed from the hair. Bleach will continue to process and I've seen hair that has been really damaged, and even broke from leaving on a bleach mixture. It will strip the colour out of anything, so be really careful applying it, use an old towel or top and avoid walking about the house too much. Never use mixture that has been mixed and left for any length of time. You'll notice it goes fluffy and foamy, but it is never a good idea to use mixture that has been exposed to air for some time. Always mix fresh, or mix as you go.